DPP1U Series 1u dc distribution panels employ circuit breakers to provide distribution and overload protection for 1 to 16 circuits with circuit breakers that can be field installed/exchanged without the need for any additional tools. 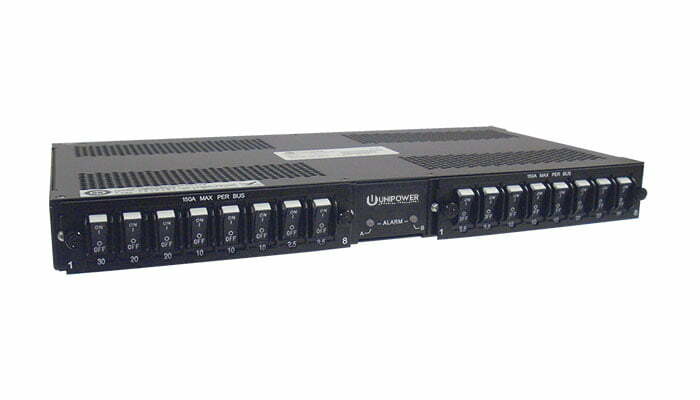 NOTE: Single feed models DPP1U-A1-B1-S and DPP1U-A6-B6-S have both left and right side input bus bars fitted. It is only necessary to connect the input feed to one side for correct operation. The unused side is directly connected to the live input feed and can be used for supplying additional panels. The total load must not exceed 150A on any one pair of bus bars in the chain.